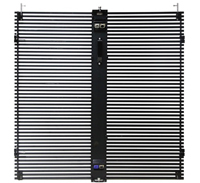 The Edison Displays© FI-series of stage LED video screens provide a rugged modular LED system in combination with low maintenance requirements, resulting in an exceptionally low total cost of ownership. The Edison Displays© FI-series of stage LED video screens deliver an excellent balance between brightness, color and contrast. 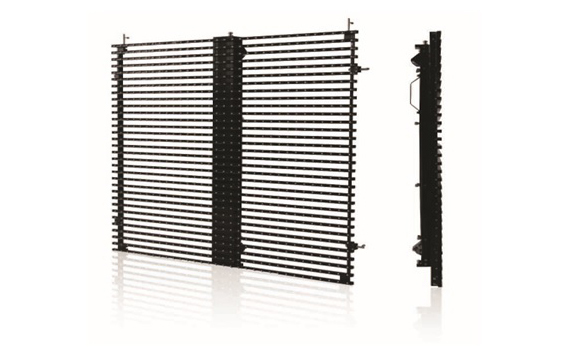 With a flexible modular construction and a lighter weight than similar products, the Edison Displays© FI-series of stage LED video displays deliver a perfect fit for demanding theatrical performances, rental, and staging of events. Highly transparent design while ensuring clear video display, making it perfect for stage use. Fan less design greatly reduces power consumption – up to 70% lower than standard models. Lightweight cabinet design allows large displays while staying under the weight limit of the stage. Quick assembly and dismantling of the display thanks to the lightweight panel, quick side lock and data/power connectors and snap-on kingpin connectors.